The Porsche 911 Carrera GTS. Colour? Lime Gold. 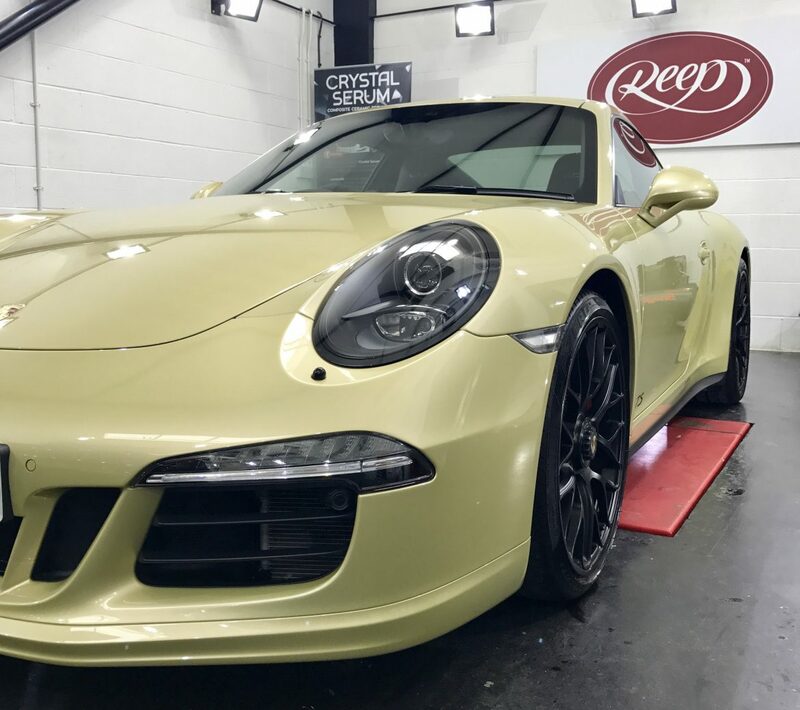 Protected with one of the finest Ceramic Sealants on the market from Gtechniq. It only seemed right when it is this colour! Brought to our studio in summer of 2017, ahead of some of the Porsche Club‘s local events, the Carrera GTS left looking ready for anything! Following the Reep’s signature wash to make sure the paintwork, wheels, arches and glass were fully clear of any dirt. 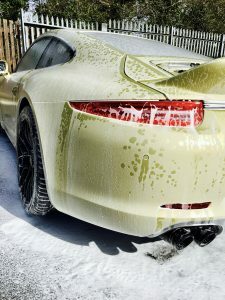 Using a snow-foam helps to lift the dirt from the paint surface, thus reducing further damage. 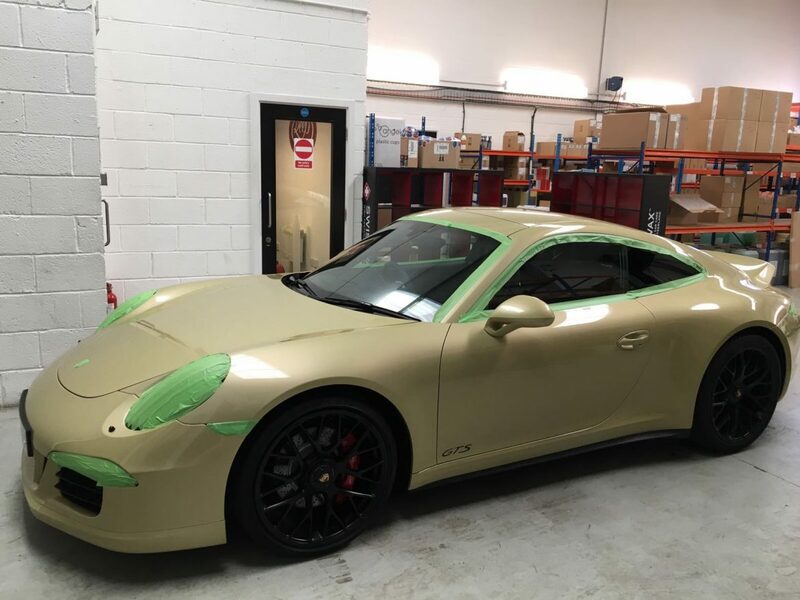 Applied onto the whole car, there is a certain process our fully trained and Authorised team follow. 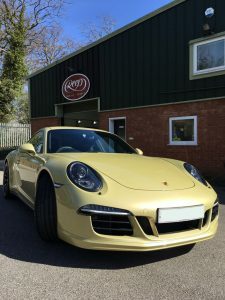 Once washed and dried, the team use a range of polishing compounds to achieve a high-gloss finish. 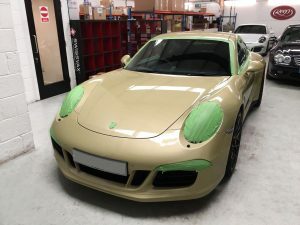 This removes (not masks) all swirl marks, minor scratches and other minor defects from the paint. (Deep scratches, stone chips and other such damage will need further work to remove). Once a smooth, blemish-free finish is achieved, this is when you can apply the Ceramic sealant. By using the green tape you can see in the photos, we can ensure that no damage is caused on non-painted surfaces. 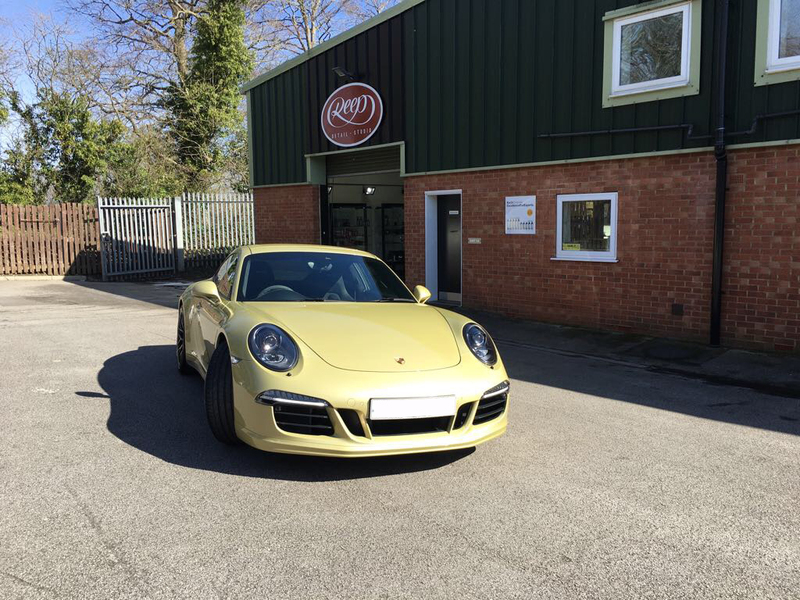 Once the paintwork is as perfect as we can get it, it is now time to prep the car for its sealant application. To start, we fully wipe the paint surface to make sure all dust particles are removed. 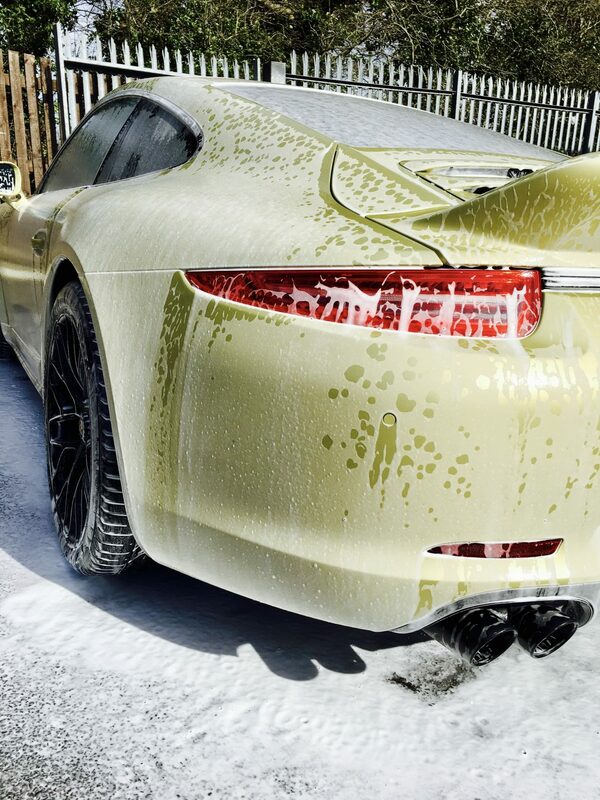 Gtechniq’s Panel Wipe is the perfect product to make sure the surface is as clean as can be ahead of it being sealed. Once applied, the Ceramic Sealant heightens the level of gloss even further, which on this particular car we think you’ll agree has made it even more stunning! 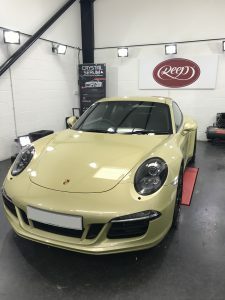 Since leaving our studio, you may have seen this unique, beautiful car on display at some of our events including ‘Porsche Fest’ held at Lotherton Hall, and our Open Day held at our HQ in North Yorkshire. Have you seen another this colour yet? Interested in protecting your Pride and Joy?